The prices of housing are seeing a steep hike in many places in the country. This makes it a herculean task for the people to purchase a home. As luck would have it, majority of the people can acquire a mortgage to assist in paying for a house. But, most of the mortgages require a down payment and costs of closing. The down payment can vary from 3 percent to 5 percent of the amount of loan. This is particularly applicable for the cheapest loans available. The costs of closing include the lender fees, insurance, an appraisal, prepaid interest, title fees, closing company frees. It could be 2 to 5 percent of the value of the home. On a residence worth $200, 000 a purchaser may require $10, 000 as cash to include the down payment and closing costs applying a low down payment loan on a property that is owner occupied. If one is an investor, he will require additional money. Fortunately, there are the down payment assistance programs and other options to mitigate the cash required to getting a house. As a matter of fact, most of the owner occupant buyers can purchase a home with very little amount as $1,000 in the vicinity of Colorado and other states. Down Payment Assistance programs exist in some way or other in most of the states. During the past years, these programs were restricted for first time buyers of home. Nowadays most are available to any individual who stick to the income limits and qualify based on the income and the credit score. Fortunately, Colorado has many wonderful programs that give things free of cost in the form of grants that are non repayable. The grant is applied to clear the purchaser’s down payment and closing expenditures. Based on which loan a potential buyer qualifies for, the grant can clear most of the minimum down payment that is required. The actual value in these programs is that it enables a buyer to acquire a residence with an expenditure of $1,000. Due to the fact that the grant is non-repayable, the only setback would be that the rates of interest on these programs are about .25 to .50 percent more than a loan without assistance in the form of a down payment. A .25 percent interest rate hike would imply that your payment for the house would be about $30 extra for a month on a $200,000 loan. Luckily, for buyers across the country, Colorado is not the only place which offers down payment assistance programs. For instance, Arizona has some important programs with similar grants but the guideline restrictions are different. 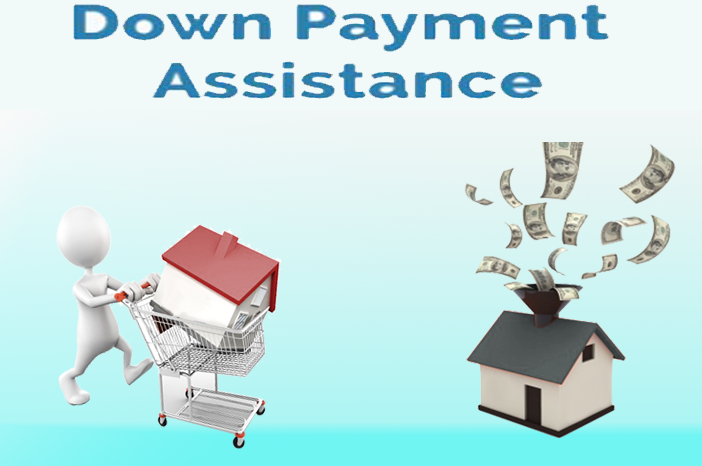 How does one qualify for down payment assistance? Qualification for a loan with down payment assistance is direct as it appears. Due to the fact that these loans follow normal FHA and Conventional guidelines, the individual requires a minimum credit score of 620, a solid work history, and needs to put in $1,000 into the deal. The debt to income ratio should also be decent enough. When one suffers bankruptcy or short sale, it makes it difficult for the individual to be eligible for the loan. Purchasing a residence can be very costly even with loans which have low down payments. One has to be thankful enough to down payment assistance programs and other methods, the finance a buyer needs to furnish can be mitigated. Such programs materialize the dream of ownership of a residence for those who could not purchase a residence otherwise. Dc Fawcett , the founder of the Virtual Real Estate Investing Club, has many ideas to offer in his blogs. One can skim through these blogs to get a fine idea regarding buying a house.